South Africa's economy is ruled by diversity. There are well-developed regions around the major industrial hubs and business centres and less-developed laid-back regions with slow economic growth. South Africa's metropolitan cities with modern infrastructure and well developed facilities stand in stark contrast with the sprawling townships on the cities' outskirts or rural areas. When away from the South African economic centres or far from the usual tourist routes, you quickly will realise that South Africa is still a developing county, albeit with an enormous growth potential. We just come back from a business trip to the Northern Cape, well road trip would better describe it, as the journey there took quite a bit longer than the actual business meetings altogether. But what an eye-opener this was again! Blinking new technology in the middle of the desert, amazing wonder works of engineering out in the middle of nowhere. However, progress can now be noticed in the towns and villages near these sites and much has changed remembering the places we have visited several times over the last ten years, although still needs to be done! Back towards Cape Town, we noticed the Mother City's urban sprawl, with the highway to Malmesbury being upgraded and expanded and the future development of sites around the 'potential new hub' Atlantis can now be imagined. Further away, Durban has seen many infrastructure improvements and an harbour that offers the biggest container port facilities in sub-saharan Africa. But also corruption and poor governance are in the news more often than we want to hear. This year's downgrades by the ratings agencies have hit the country hard, which can also be seen in the city of Johannesburg, where the unemployment figures hit new highs, as international companies and investors increasingly disinvest. Read more. The mid-term budget policy statement of Finance Minister Gigaba which openly announced a sharp fall in revenue was another reason for Moody's and S&P to reconsider their recent downgrades and economists now fear for another ratings downgrade at the next meeting on 24 November. Any further downgrade would push South Africa's bonds out of the commonly used global bond indices. But let's see the positive achievements over the last year as well, there are shining lights as well: Cape Town's new facilities at the passenger terminal for ocean cruise liners welcomed over 85,000 passengers and crew over the last season, while the V&A Waterfront's sustainability concepts and new Silo district have been lauded and with this achievement the region aims to become the greenest area in Africa. And tourism is booming, if the major travel experts and get it right: South Africa will be still one of the leading travel destinations in 2018. So let's hope there are more positive developments and news to come! 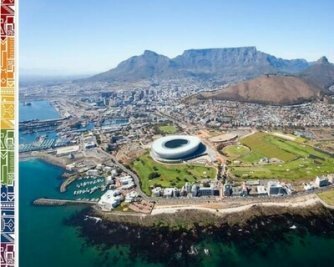 Cape Town and Johannesburg and Durban are not only the main economic centers in South Africa, but also the gateway to Africa for many businesses and investors. 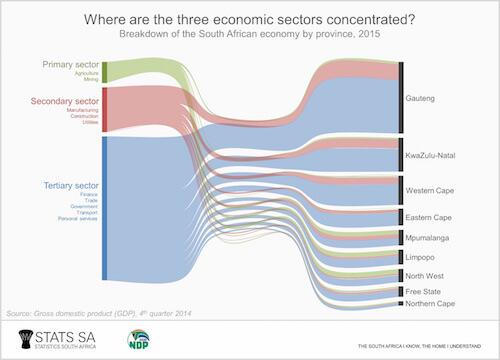 This can be seen also in the figures of the provinces Western Cape, Gauteng and KwaZulu-Natal. 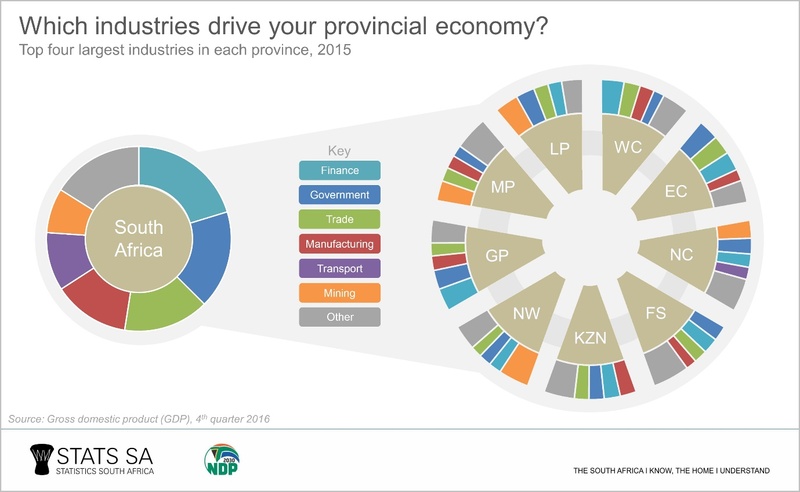 These three provinces contribute over 60% to the country's GDP. Manufacturing Sales: 1.5% y/y (October 2017) More info. South Africa shares borders with Namibia, Botswana, Zimbabwe, Mozambique, Lesotho and Swaziland and acts as a safe and reliable transport hub with its major airports and seaports on the Southern African continent. South Africa is part of the BRICS nations (with Brazil, Russia, India and China) and belongs to the world's emerging markets. 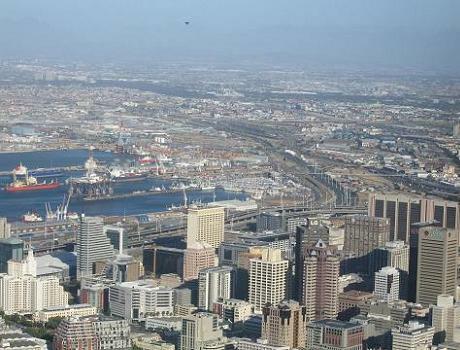 The Gauteng province, with the provincial capital Johannesburg, and the Western Cape province, with the provincial capital Cape Town, are the most prosperous regions in South Africa. Many businesses prefer opening offices here to have easy access to the Southern African markets. Proximity to good transport networks and access to a well educated work force incl. 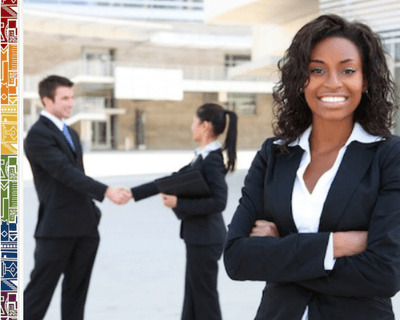 attractiveness for experienced international jobseekers with scarce skills offer many opportunities for investors looking for good business potential in the Southern African region. 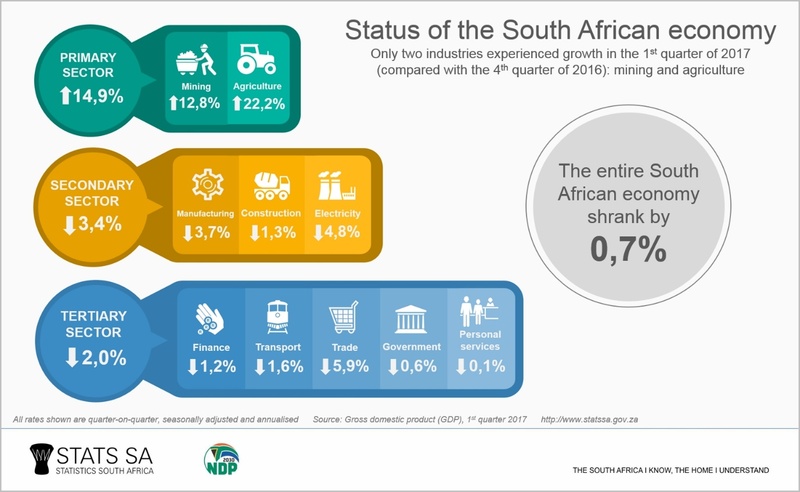 Economy Overview: In 2017, South Africa's economy finds itself at the slowest point since the worldwide recession hit in 2009. In the last two years, labour strikes, foremost in the mining sector, as well as power shortages have had a negative impact on growth. 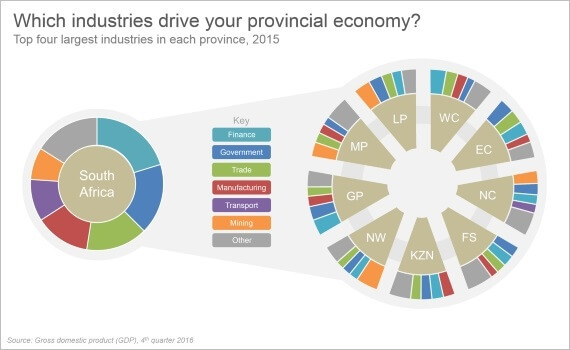 Until 2015, many provinces still showed minimal growth in several sectors. The rating agencies rank South Africa as negative. (Moody's downgraded in June 2017 to Baa3 and S&P in April to BB+), except Fitch who still rates as stable (also BB+). Should the scarce water supply be further mismanaged and the political climate continue to dampen the investment climate, another downgrade will most probably not be avoided. The economy is expected to expand only by 1,0% this year and it seems more and more unlikely the target of GDP growth of 3% will be reached by 2018. South Africa has plenty of natural resources: Gold, platinum, chromium, iron ore and diamonds are among the biggest resources. With world-class processing facilities and the introduction of new technologies such as the coal-to-liquid facilities, South Africa is considered by many a world leader in the mining industry. However, new legislation for the mining industry, the Mineral and Petroleum Resources Development Amendment Bill, which is in the pipeline since 2012, still has not been signed off. 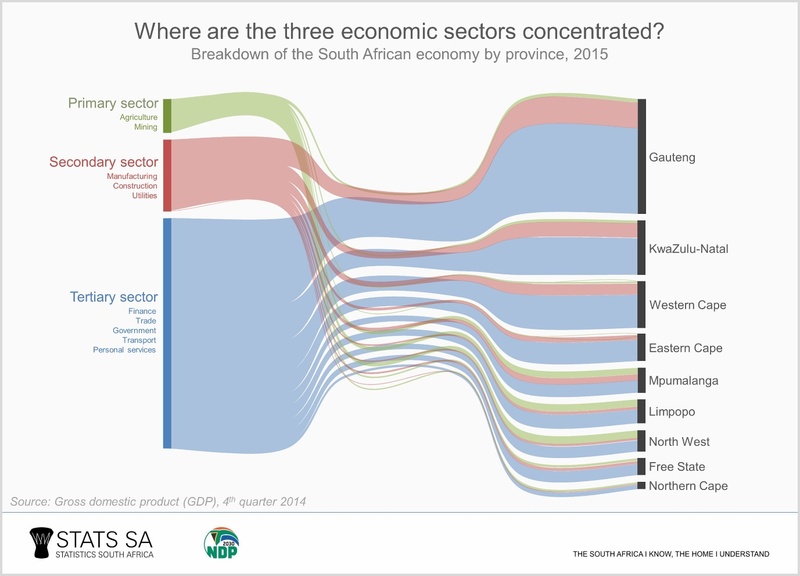 The economy in 2016 expanded by only 0.3% whereby the finance sector as the largest industry sector in South Africa contributed 21% to the country's GDP (2015). This sector grew the most with 1.9% in 2016 while the primary sector industries reported the most losses: agriculture -7.8% and mining -4.7%. The mining sector reported the second highest growth of the ten industries. The foreign direct investment in mining constitutes about 15-25% of FDI in the country. Manufacturing, the chemical industry and agriculture are important sectors, however, the recent statistics show losses in these sectors. The country ranks in the Top 25 countries regarding the chemical industry and South Africa plays an important part in the manufacturing business sector, especially the automotive industry. Many of the international car manufacturers have production lines set up in the country. General Motors announced to seize manufacturing their cars in Port Elizabeth by the end of 2017. Other main business sectors are the finance and the real estate sectors, the service industry and the tourism industry. Tourism is one of the major growth industries contributing about 9.3% to the GDP (2016) and counting more than 14 million tourist arrivals in South Africa. New immigration regulations, such as the requirement of carrying an unabridged birth certificate for minors, affected the tourism sector, (described here), affected these figures negatively. With high unemployment rates, geopolitical tensions and protectionism as well as remaining insecurities in the commodities sector, the growth rates in most economies around the world are subdued, however, there are signs that the growth rates are slightly improving. See this IMF graphic. China's strong growth (projected at 6.7% for 2017 according to the IMF) will impact the South African economy. Although the South African financial system is rated among the more stable financial systems worldwide, the credit rating is now at 'junk' status, which is the lowest investment grade and thus does not install as much confidence into the ailing economy. As widely discussed, South Africa experiences an enormous skills shortage in many employment sectors which impacts the development of the South Africa economy. The high average unemployment figures of almost 28% and a youth unemployment rate of over 55% also need to be considered and the development of the education and training sector is considered as crucial. The utility sector is experiencing some real strain due to the ongoing drought in many provinces and affects all business areas. However, due to the development of new power plants and alternative energy resources, such as harvesting concentrated solar power in the Northern Cape - several plants are successfully implemented now - the energy sector is expected to recover over the coming years. The economic growth rate is anticipated to range in the region of 1% for 2017 and through various measures the inflation rate is expected to be kept in control and within the recommended 3 - 6% range, albeit almost at the upper end. The recurring strikes in the public sector and the student unrest as well as the upcoming ANC national conference in December will need to be closely monitored. At the ANC conference in December, the party will elect the new presidential candidate and potential future president. The elections are expected to point the way for possible reforms or incoming new legislation. The next presidential elections will be in 2019. Any future action in regards to the numerous corruption allegations against the president and some ministers as well as the announced re-organisation of various state departments under the Department of Home Affairs as announced in the Immigration White Paper 2017, and further bailouts of governmental institutions such as the SAA, which was bailed out repeatedly over the last years- alone for more than 5.2bn Rand in 2017 will also need to be closely monitored. However, as the leading emerging market destinations in Africa, with Nigeria now back on second position, the country will remain the major economic driver in Southern Africa and will be the favourite destination for investment in the region. Need more insights into the Economy and Doing Business in South Africa?